Busy Bees at Ilford - Cornflour Tea Party! 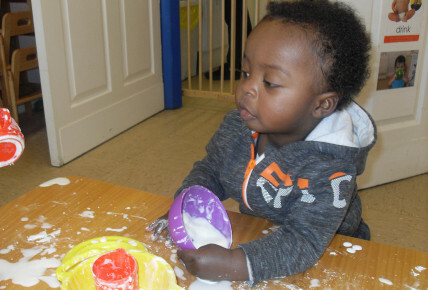 On Tuesday some of the children in the baby unit enjoyed the experience of a cornflour tea party. While the children slept, the messy elves sneaked into nursery and set up a wonderful and inviting play experience for our under 2's. When the children woke up to see the tea party, they were amazed by what they saw. The children were so excited, running over to the table to begin the fun. 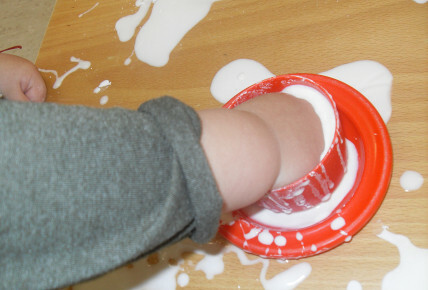 They spent a great amount of time at the table, pouring, poking, squeezing and patting the cornflour. They absolutely loved it! 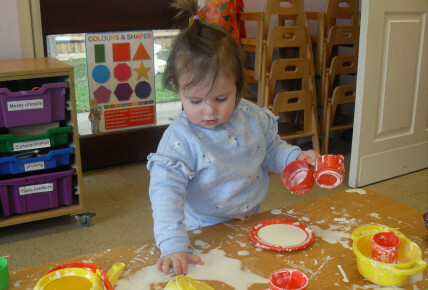 By exploring this simple activity, the children are developing in so many areas! 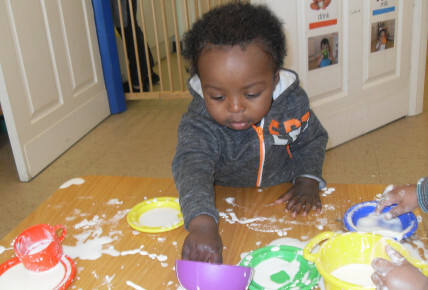 They gain mathematical awareness, develop sensory experiences, begin to pretend play, extend language and concentration, be social and so much more! If this is something you think that your little one may like to join in, why not give us a call for a FREE stay and play session. Call Jo today on 02085990066. One of our experienced team will give you a guided tour of purpose built setting while your here.